Luther H. Sprankle, 82, of Tyrone died Wednesday October 3, 2018 at home surrounded by loving family. 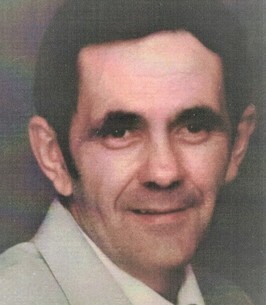 He was born July 28, 1936 in Tyrone a son of Hobson and Gladys (Welch) Sprankle. On January 29 1966 in Bellefonte he married Virginia K. Broome. She died November 30, 2015. Surviving are three sons; Luther II, Larry and wife Cristy, Terry and wife Jessica all of Tyrone and six grandchildren, Dustin M., Brian S., Noah L. Hayleigh E. Rebakah N. and Amariah Sprankle. He was preceded in death by a grandson Christopher Sprankle, a daughter-in-law Carol Sprankle and a brother Richard E. and his wife Lois. Mr. Sprankle retired in 1999 from Meade Paper Products, Alexandria as a production worker following 32 years service. He was previously employed at Grier School. Luther enjoyed farming, long rides in the country and spending time with his grandchildren and family. Friends will be received at the Feller Memorial Home on Tuesday October 9, 2018 from 6 P.M. until the memorial service at 7 P.M. with Pastor Bill Ewing officiating. To send flowers to the family of Luther H. Sprankle, please visit our Heartfelt Sympathies Store. We encourage you to share any memorable photos or stories about Luther. All tributes placed on and purchased through this memorial website will remain on in perpetuity for future generations.